Every so often I get an email asking if I have any recipes for sausages that don’t contain any pork. There are a lot of folks out there who simply don’t dine on swine. This post will show you how to make chicken sausage. I’ll give you the basic framework and you can make endless variations to suit your tastes. These sausages are delicious and worth trying even if you do eat pork. 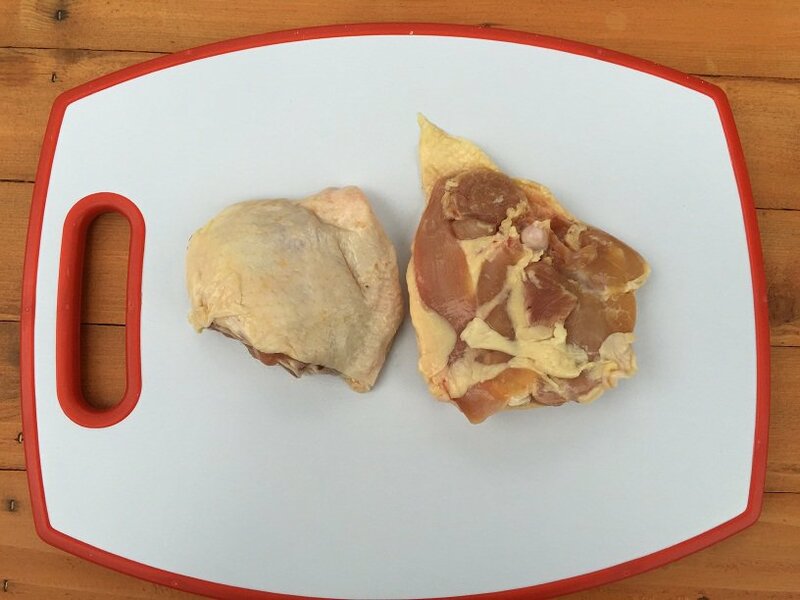 This batch of sausage used five large chicken thighs (a little less than three pounds). 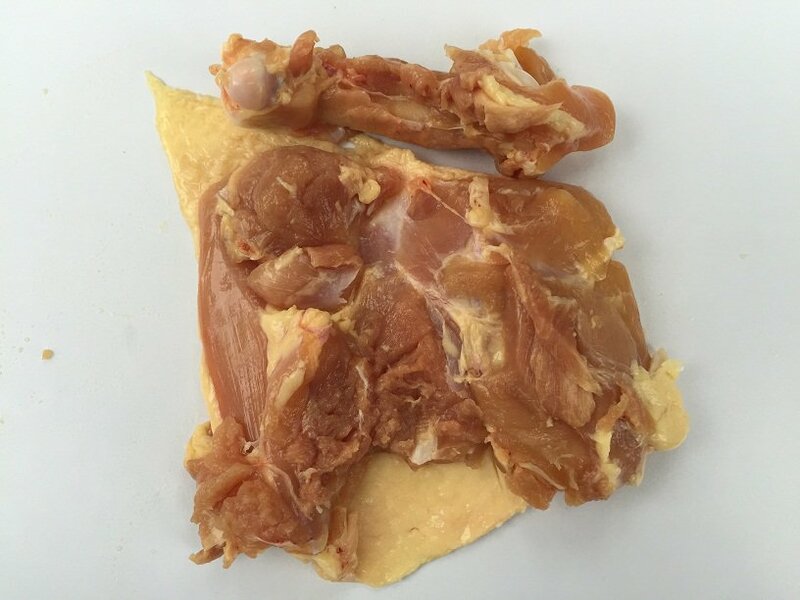 Start by taking the bone out of the thigh. 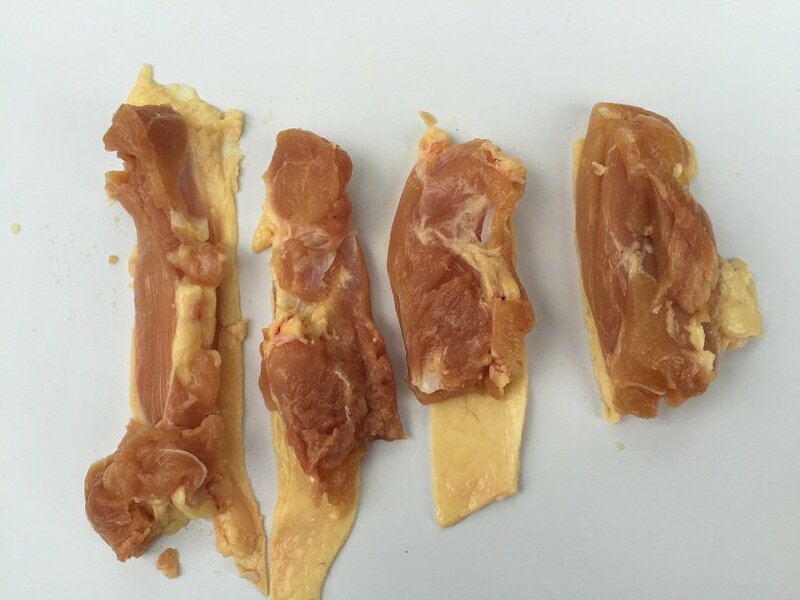 While you are taking out the bone go ahead and take out the large vein. 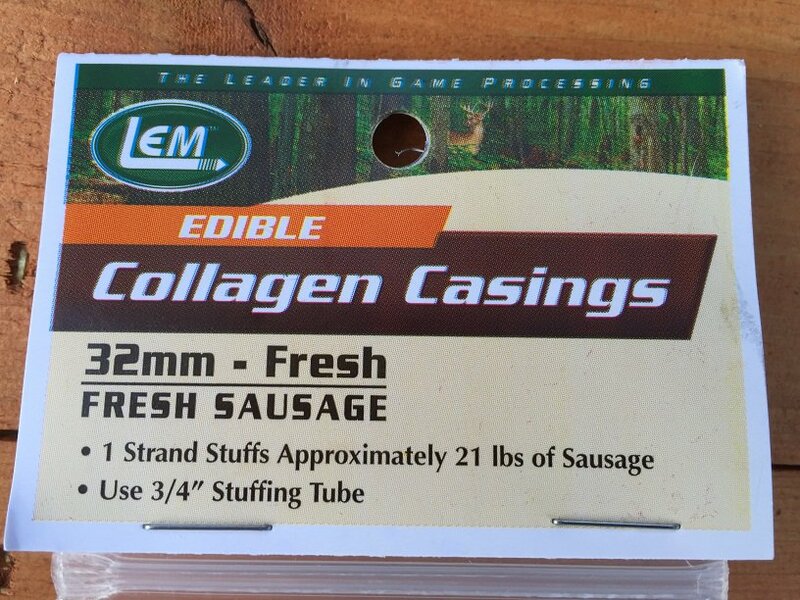 No need putting that in your sausage. Here is what you are going for. 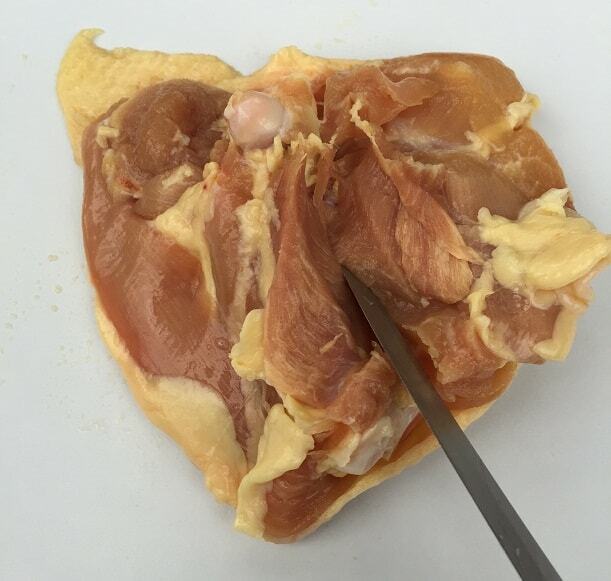 Now that the bone and vein are out you can cut the thigh into fourths. 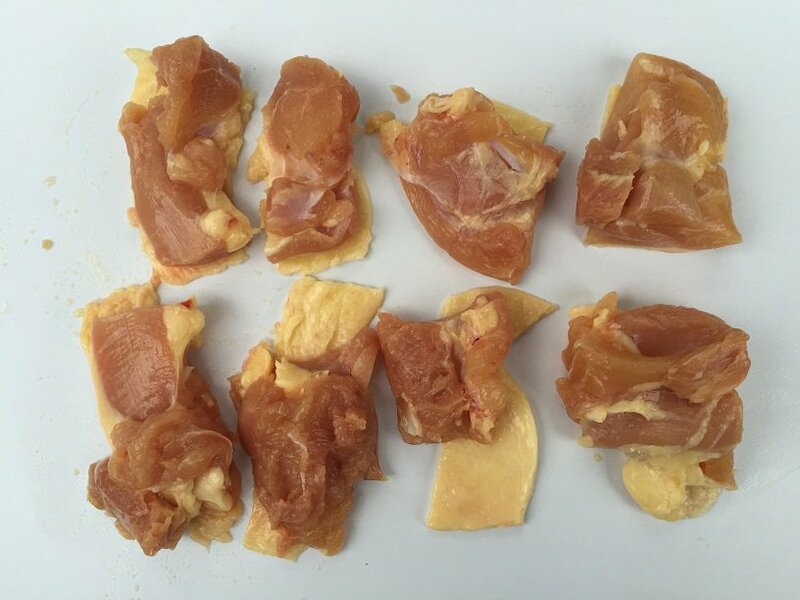 Repeat the process for all five chicken thighs. Discard the thigh bones. 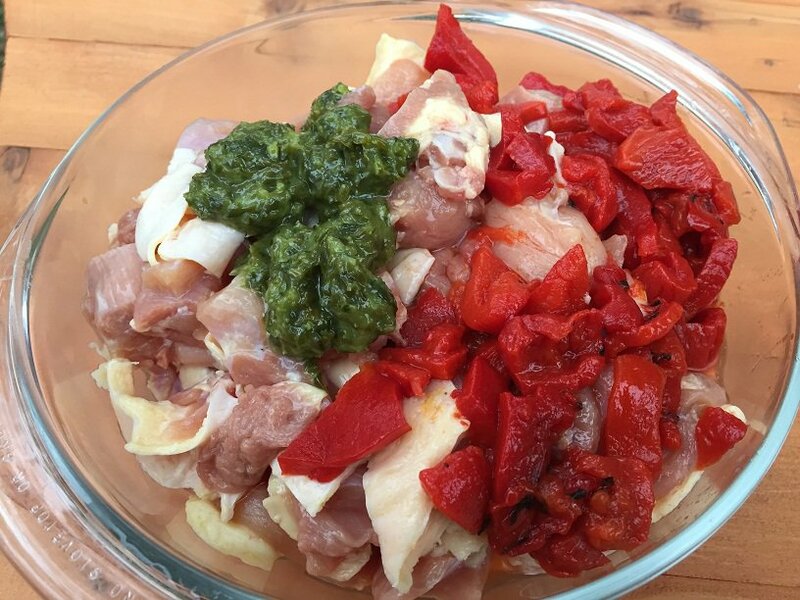 This batch of chicken sausage was seasoned with roasted red bell peppers and basil. 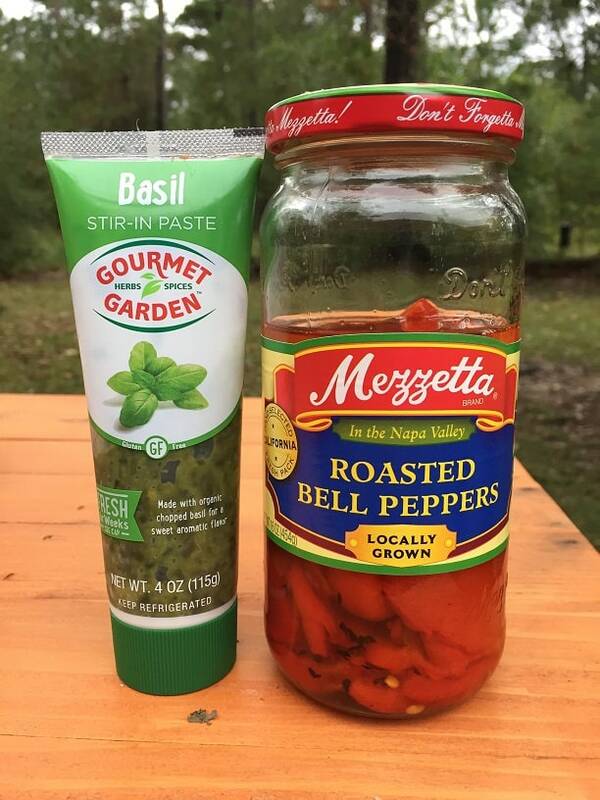 Combine the ingredients then run them through your grinder. If you need instructions about grinding and stuffing you can catch up with my post on How to Make Sausage at Home. After grinding and mixing (no extra liquid was needed for these) fry up a test patty to test the seasoning. Make adjustments if needed. To make sure that there wasn’t any pork in these sausages they were stuffed into casing made of beef collagen. 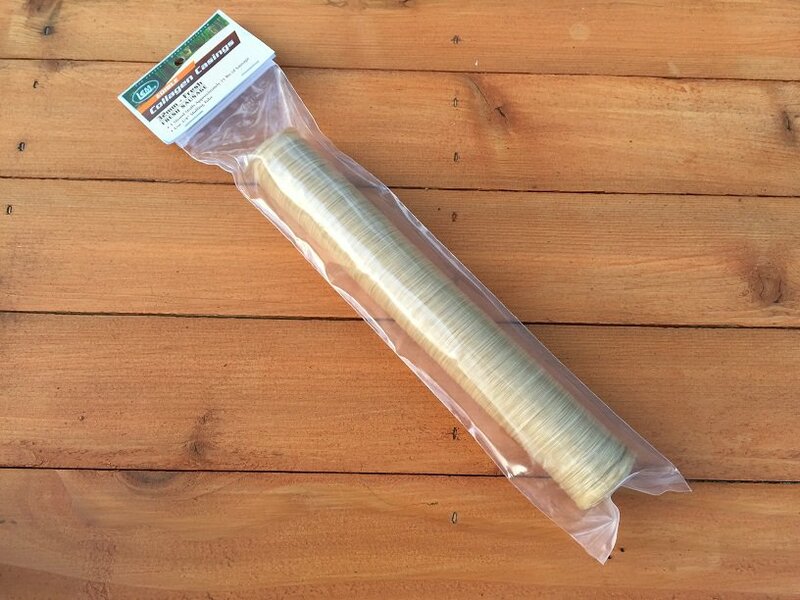 Collagen casings make sausages that are very straight with no bends. They are also impossible to twist into links. 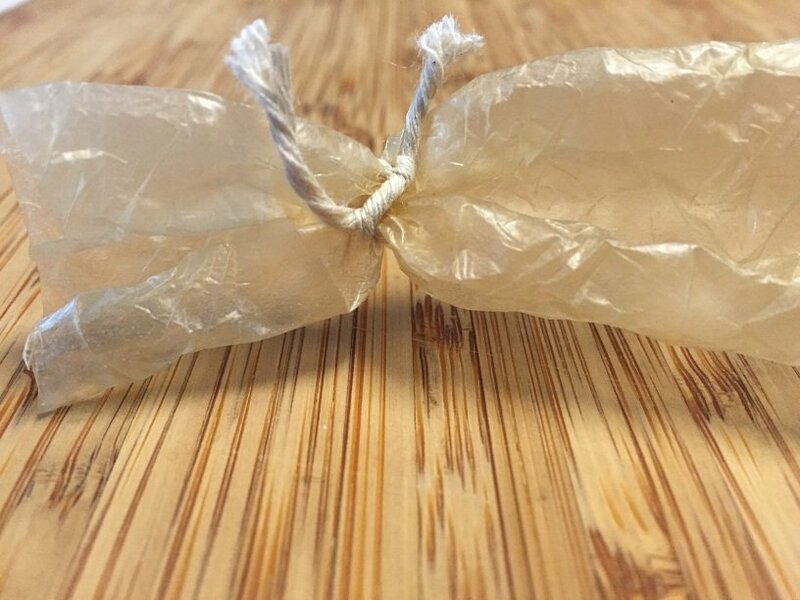 Use some twine to tie a knot at the end of the casing. 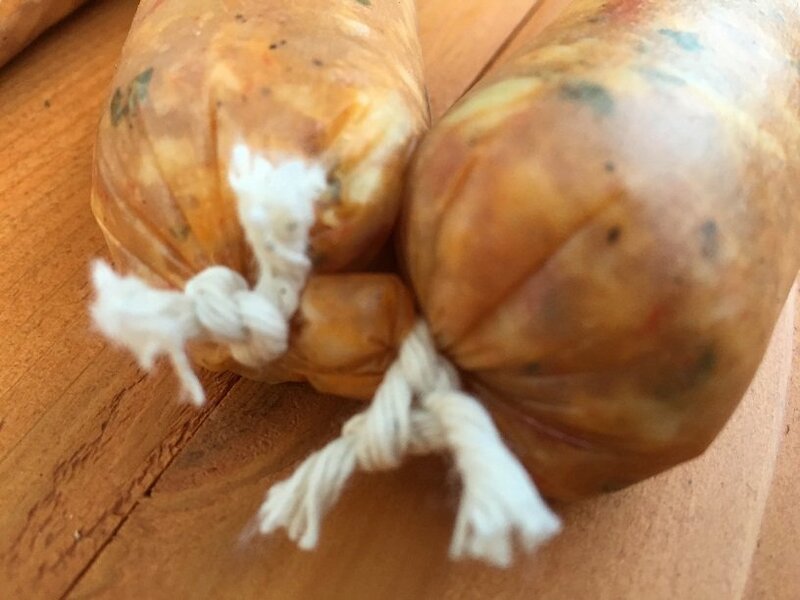 After you stuff the casing to the desired sausage length use another piece of twine and tie it off. I like to add a new piece of twine before every sausage so I can cut them apart for individual storage. They came out looking pretty nice! 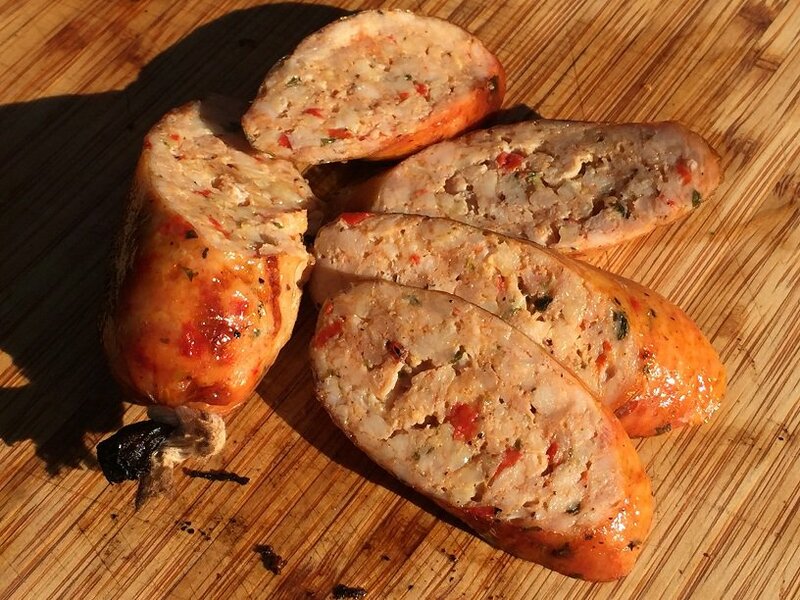 Grill these chicken sausages with indirect heat and turn often. These chicken sausages brown up wonderfully but will pop if left unattended (just like that little sausage hanging out in the back of the picture). 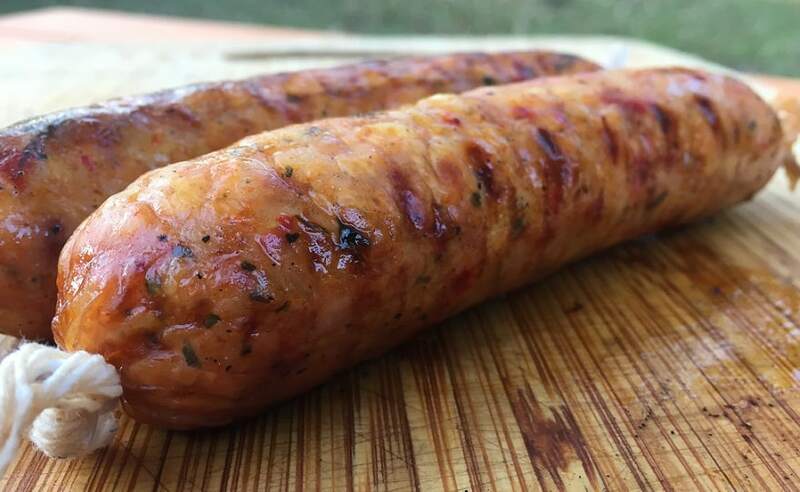 You can use the seasoning blends for traditional pork sausage and apply them towards your chicken sausage. You can make spicy Italian Chicken Sausage, Chicken Bratwurst, etc. If you need recipes for Bratwurst and other sausages then you can find some in the post on How to Make Sausage at Home. 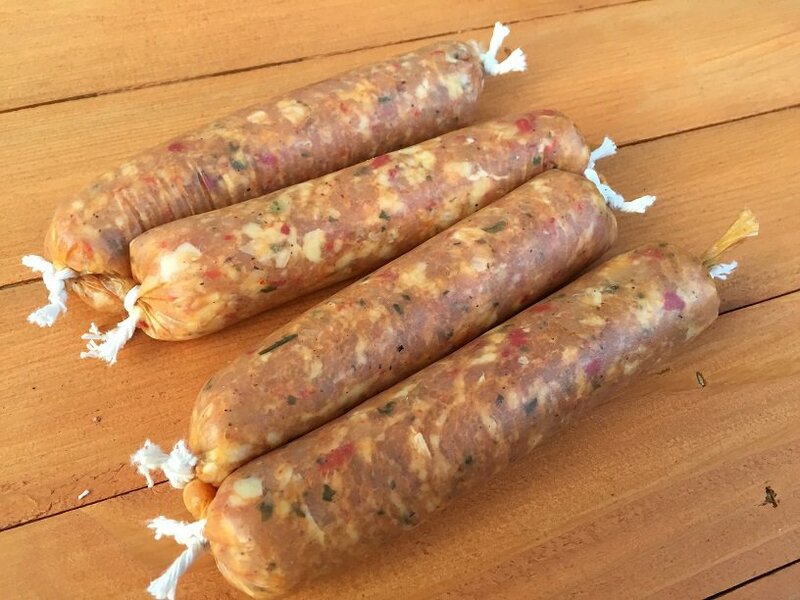 I hope you found this article on how to make chicken sausage useful! 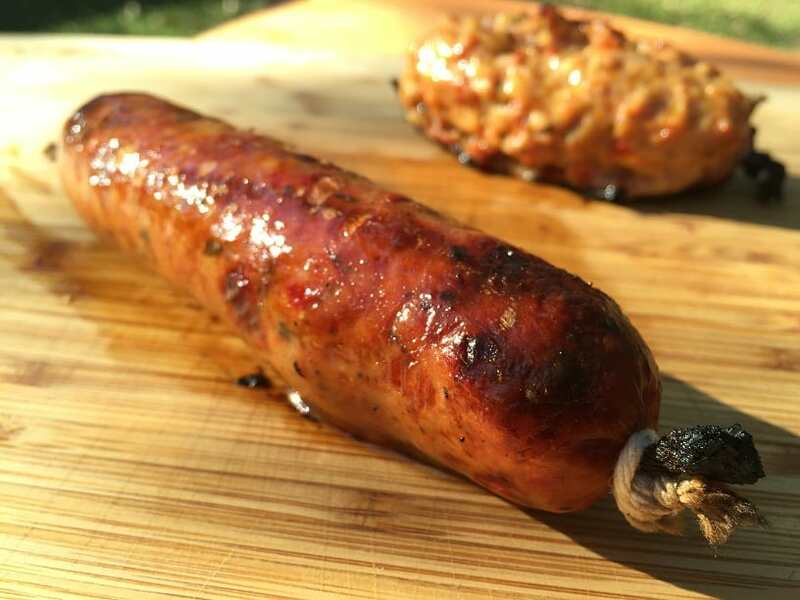 if you liked this then check out How to Make Summer Sausage. Thankyou for your culinary inspirations, greatly appreciated. Winter in the UK, plans for the recipe book once it warms up enough for a socially acceptable BBQ! This is a real eye-opener for me. I had tried making chicken sausage and came out too dry. I suppose it is because I’d removed the skin. Very welcome! There is quite a bit of fat attached to the skin and keeping it in the sausage helps a LOT. Do you have to use the casing or can you just fry it as patties? Casings are completely optional. 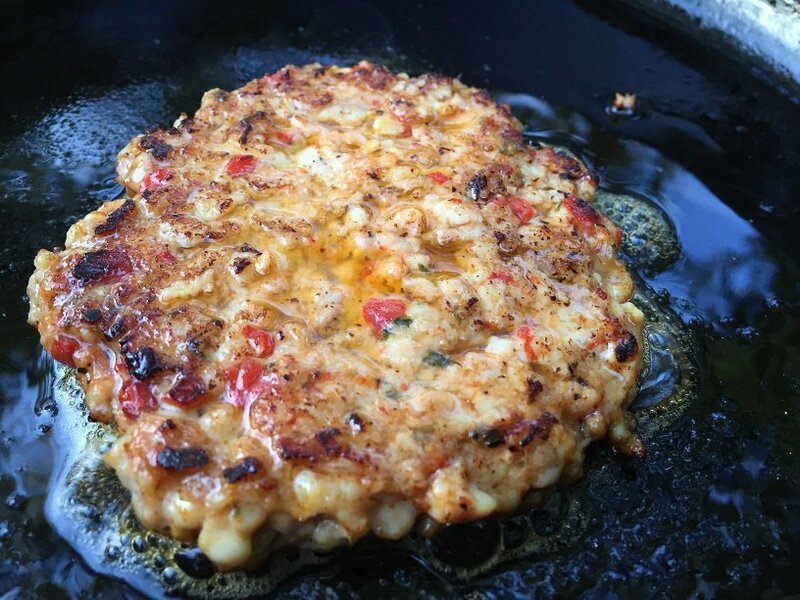 I love frying these up as chicken burgers.